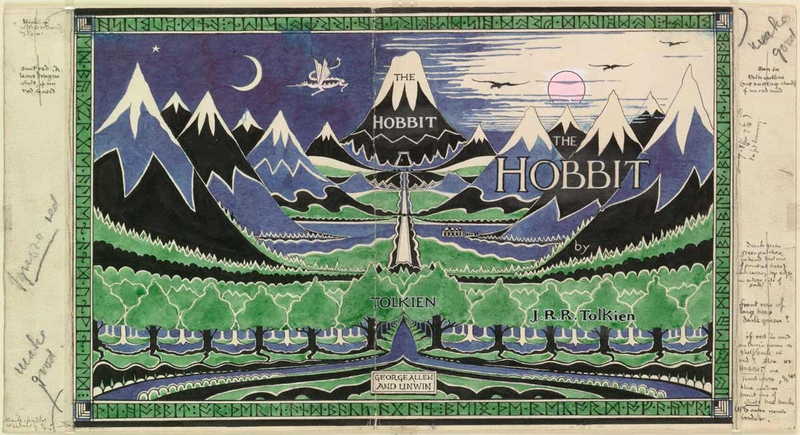 The original cover of "The Hobbit" was illustrated by Tolkien, and it had on the cover runes as part of the border. 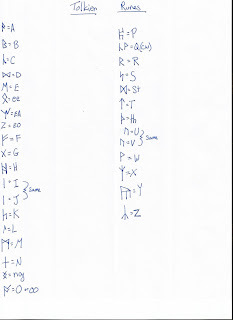 I'm not going into the history of the runes Tolkien uses, but did you know the runes actually say something? I bring this us because in college the professors would sometimes spend a considerable about of time on the title of the book and sometimes even the cover art. Their reasoning was that the cover and title is part of the work of literature and should not be glanced over. For instance if you read "Finnigans Wake" by James Joyce the professor might spend time discussing "Finnigans" and might propose questions such as "Is it only one Finnigan or is there a multiplicity of Finnigans?" or "Did Joyce mean "Finnigan's"? Another example is the book "Cane" by Jean Toomer, which was written during the Harlem Renascence and is excerpts of life around the United States as experience by African Americans. With the proper mindset the title of the book can call to mind slaves working in the sugarcane fiends in the south, the canes slaves were beat with by their owners, as well as a a walking device. Why does this matter to "The Hobbit"? Simply put, the book, according to the cover, has a duel authorship. One Bilbo Baggins who wrote his memoirs, and the other J.R.R Tolkien who wrote "The Hobbit" based on the memoirs of Bilbo's journey. 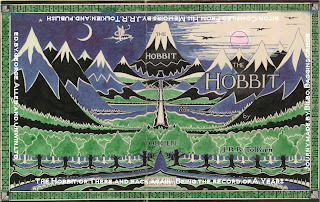 This matters because if you get a copy of a first edition of "The Hobbit" you will notice several discrepancies that many modern readers of "The Hobbit" and "The Lord of the Rings" are unfamiliar with. One such instance of this is that in the first edition Gollum loses the riddle game and very peacefully shows Bilbo out of the cave. Gollum appears to be a much gentler creature. The obvious reason for the discrepancies is that when Tolkien was writing "The Lord of the Rings" he had to go back and make revision to certain characters and even the ring itself. 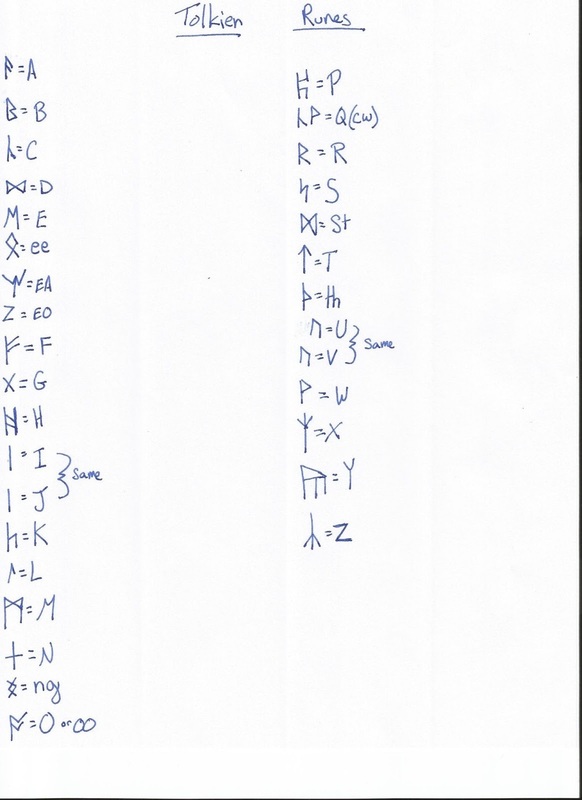 However, Tolkien himself is part of the story, so the way the revisions are explained, which I think is part of Tolkien's genius, is that Bilbo told the first edition story himself, and it was only later revealed after the publication of the first edition that the real story of Gollum and the ring was made known. Therefore it was then revised later by others to be in the current state that we have the book today. 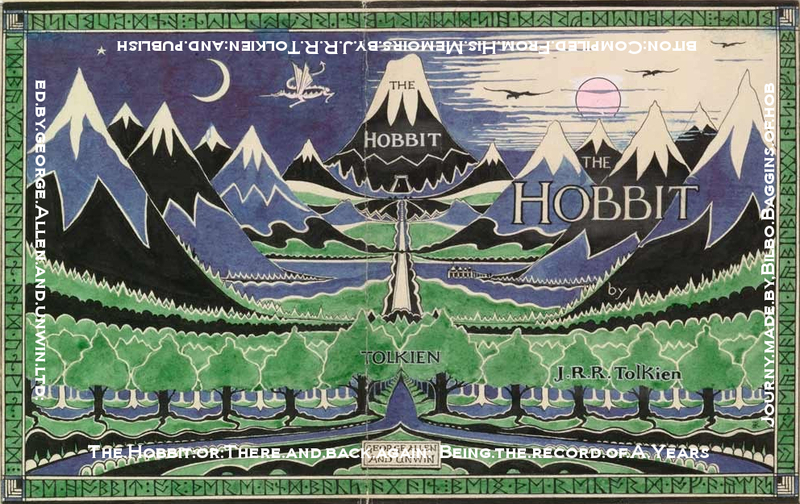 "The Hobbit or There and Back Again being the record of a years journey by Bilbo Baggins of Hobbiton. Compiled from his memoirs by J.R.R. 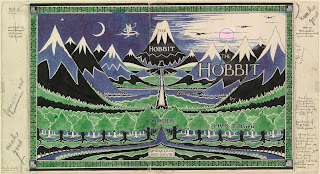 Tolkien and published by George Allen and Unwin Ltd."
I've actually never seen the full cover in this way before: wow! they did a great job.